« Have gray hair? You should have one of these for emergencies. Why is a blow dry not included with my color service? This question comes up quite often, so here is the explanation. When you visit an upscale salon that is departmentalized you are seeing experts that are specialized in a specific field. What does that mean you ask? Well each person that works in the salon is trained in their field to make sure you are provided with the best possible service. Therefore, your colorist is trained in color, your stylist is trained in haircutting and styling, and some stylist train even more to become experts in updos. The more upscale the salon, the more training the expert receives and the more skilled they are. It’s actually quite simple, let’s go with a restaurant analogy. If you go to a buffet you’re going to get not amazing food, appetizer entree and desert all included, and all for a low price. If you go to an upscale restaurant you’re going to get to choose what you want, customize your experience, and spend what you want. Everything is à la carte. It is the same with an upscale salon. We give our clients the option to customize their experience. We are giving you the option to skip a blow dry. So let us say that we included the blow dry in with your color service. That is X amount of dollars now attached to your service, you don’t get to pick who is drying your hair (not customized). Now let’s say you are not going anywhere special, you are going to be just hanging around the house that evening, there is a monsoon outside and it’s going to destroy your blowout, now that is just money and time wasted. So by us separating the blow dry we allow you to choose your own adventure and customize the experience you want to have. You get to pick if a senior stylist blows you out, or a junior stylist. Once again allowing you to customize your experience at the salon. Why is a blow dry included in my haircut then? It is part of the haircut. After your hair is dried, your stylist can see the way your hair falls, and put in the finishing touches. i.e. texturizing the ends, or removing a little more weight where they deem it heavy, to create a perfect shape for you. What if I don’t want to pay for a blow dry? 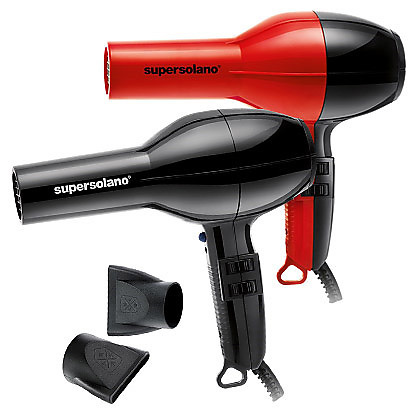 We offer an area, which includes, hair dryers, products, and brushes, so you can dry your own hair. I do recommend to my clients if you have a favorite brush or product that works for you, you should bring it to the salon. Some of my clients prefer to blow out their own hair, they say it’s faster than getting a blow out with a stylist who is going to make sure you get a perfect service/experience which does take time. No, I’ve worked in upscale salons since 1998 and this system was in place way before I got there.